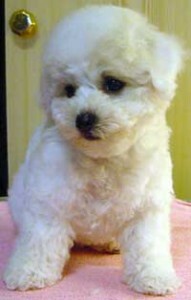 Buy a bichon frisé - Bichon frisé - Hardy-Flap's kennel - Bichon frisé! Bichon frisé – Hardy-Flap's kennel – Bichon frisé! Think first! Are you planning to purchase a dog? Then think it through very thouroughly BEFORE actually getting a dog. A dog will be with you for many years and it takes lots of time and care. Do you have the time and the possibility to take care of a dog? Yes, it’s important to first think it all through and to not let the dog purchase be an act of impulse! Make sure you find a breeder you trust and who will help you with your dog also after you’ve brought it home. Please visit our News page for the latest news about Hardy-Flap’s bichons.